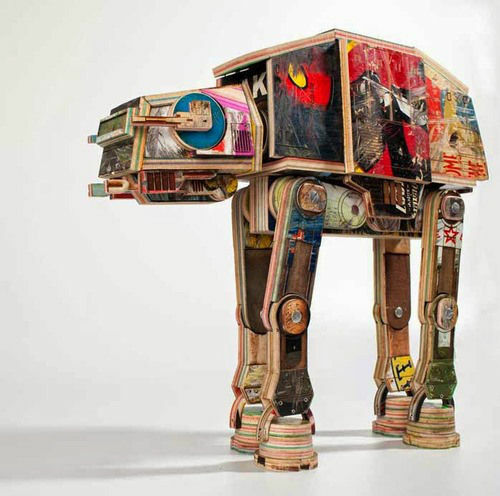 Artist Derek Keenan cleverly upcycles various reclaimed skateboards to turn them into a structural recreation of the AT-AT walker from the Star Wars saga. 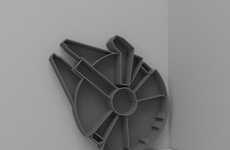 The sculpture was put together by Keenan for an exhibition called Deathstar Blues that will be featured at a Colorado gallery called The Black Book Gallery. 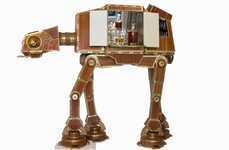 In the Star Wars universe, an AT-AT is an all-terrain armored transport system designed by the villains to intimidate its enemies. 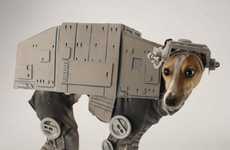 Keenan replicates the AT-AT systems shaped like ominous four-legged animals by using old skateboard decks. 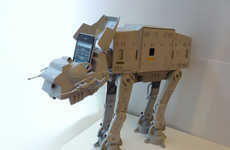 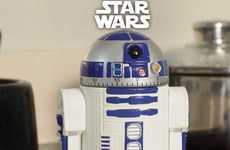 The decks are cut into various shapes and sizes to replicate the armored body of the AT-AT walker. 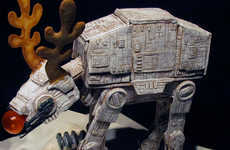 The colorful logos, designs and prints of the skateboards give this wooden AT-AT a vintage and nostalgic feel that is refreshingly different than the traditional gray metal AT-AT design.